An excellent pamphlet from 1976 by libertarian socialist group Solidarity about work and struggle on London's buses. Includes strikers' leaflets. Originally published December 1976 as Solidarity pamphlet #53. 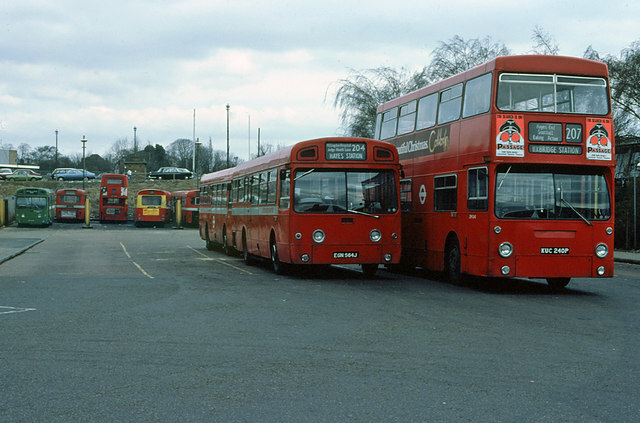 While everyone who has travelled by bus is aware of the physical conditions in which the conductors and drivers have to work most people have very little idea of the way buses are run, the shiftwork system, what goes on in the garages or the rules and regulations under which crews are meant to work. I've got an old sect wooden-trot friend who who has been shop-steward at Willesden garage for many years now. Willesden garage is prominent in the pamphlet as an old radical garage. I sent this pamphlet online to him, and he and his comrades were all aghast at how brilliant and detailed the worker-writer Penny Fair was and they wanted to know more. When I told them it was anarchist produced they all fell silent. Thanks for putting this up. Solidarity had a really wonderful history of doing these sorts of pamphlets or special issues to their mimeographed bulletins. While not exactly sharing their politics, I will always be indebted to them for their "industrial" news and bulletins.